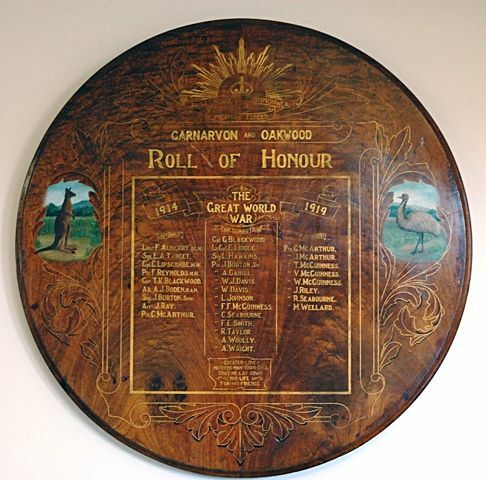 An honour roll commemorates those from Carnarvon and Oakwood who served in World War One. It lists 29 names. Circular honour roll with the names in gilt lettering. Those who died are shadowed in black.